Cher twittow sobre o lançamento do single e que estaria disponível no mês de Setembro, como todos sabem a musica se chama "The Greatest Thing" que na verdade e uma musica demo de Lady GaGa que foi emprestada a Cher. Who knew a year ago when I was crying in her arms after she gave me an award, that today we would record a duet. @Cher You are The Greatest. 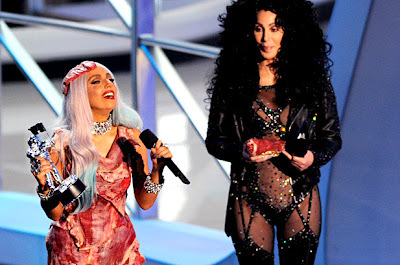 Gaga com Cher, é interessante!